GOAL: The goal of the course is to introduce graduate students to the environment and culture of special libraries and the current issues facing special librarians. Management of special libraries and information centers requires a knowledge of basic management practice, specific subject expertise and/or interest (knowing the “business of the business” of the organization) and an ability to plan, implement and deliver appropriate, cost-effective service which meets the particular needs of the organization. Increasingly such service relies on electronic capture, access and delivery of information. Many special librarians now find themselves directing hybrid physical and virtual libraries; absorbed in massive change, empowerment, and innovation movements; taking on corporate-wide project management, and thinking more broadly about the value of information and about corporate knowledge management. This is a course about those topics, taught through reading, through discussion, and through guest lecturers. It is designed to provide students with a broad vision of the direction of special library information management and with a specific knowledge of special libraries’ practical problems and their solution. 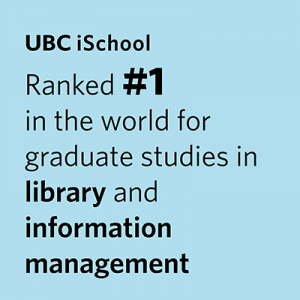 To identify current issues in special librarianship and information management with emphasis on new roles and career options for the information professional.